There are a lot of big matches coming up over the next few months and that’s in addition to all the local club fixtures so I thought I would give you a list of the main events we can look forward to, along with some contact details. Sun Jan 8, Stanjay Open (WL Final Practice) venue to be confirmed. Sun Jan 15, HAJAC WL Round 1, Benwick/Factory Bank, 5 Alls, Benwick. Sun Jan 15 Drennan Pairs Round 2 Town Welland/Glen Pode Hole. Sun Jan 22, March Open, Old Nene, Station Hotel. Sun Feb 5, HAJAC WL Round 3, Benwick/Factory Bank/Raveley, 5 Alls, Benwick. 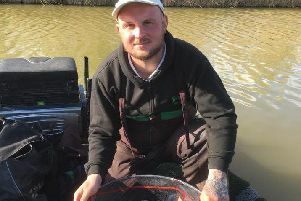 Sun Feb 5, Drennan Pairs Round 4, Town Welland/Glen, Pode Hole. Sun Feb 12, WL Final Practice Open, venue to be confirmed. Sat Feb 25, AT WL Final, Decoy/Drains. Sun Mar 5, HAJAC WL Round 4, Benwick/Bower/Narrows, 5 Alls, Benwick. Sun Mar 12, March Open, Old Nene, Station Hotel. Nigel Sewell Memorial: Keith West - 07709 214152 March AA - £3.00.